It was easy to feel optimistic because my back has been feeling better and my lungs are feeling great. I’ve been able to run around the gym like a 50 year-old. I would have said like a 25 year-old, but hey. Let’s be real. And able to leap tall buildings in a single bound. For those of you who didn’t grow up when Superman was on TV in black and white, those words are a direct quote from the announcer at the beginning of every show. The power of feeling good was intoxicating! I was feeling like Superman! It’s times like these that I forget about the future, feel great for now, and don’t worry about what will come next. In case you haven’t guessed, my scan results were spectacular! That means they were unchanged. Six more weeks of still having cancer in my lungs, but not having it grow, seems pretty spectacular to me! So why was there still another niggling little something bothering me? What was it? Digging a little deeper, I figured it out. I was feeling guilty. I know, this doesn’t seem to make any sense. Except it does. It's complicated. First, there are the recent deaths of two people I know who had cancer. One was more of an acquaintance to me, but the other person, Larry, had become important to me in a very short period of time. 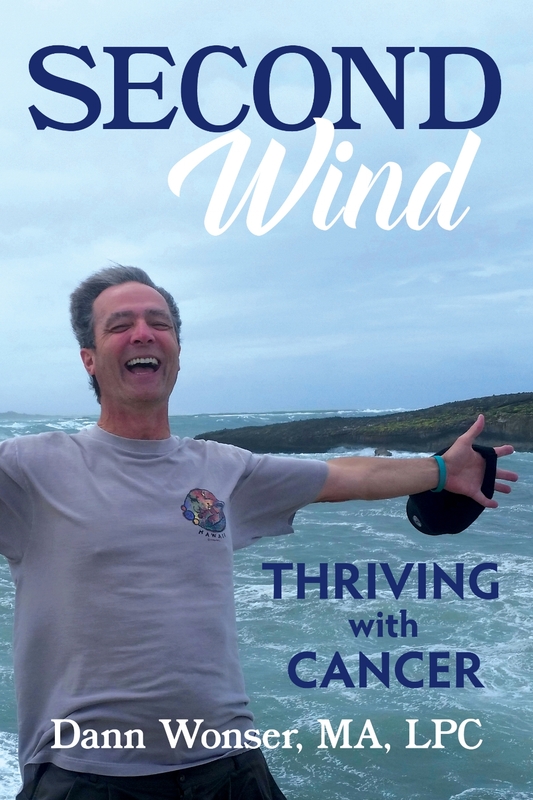 He was making a remarkable recovery from esophageal cancer, and I had been vicariously thrilled at his successes with cancer – and with life. His passing was sudden and unexpected. I hurt for him, I hurt for his family, and I hurt for me. More recently, my buddy Craig, who has been on AZD9291 longer than me, has had some growth in his cancer. He is still in the process of working out with his doctors how they will manage this change. If you have a minute to pop by https://craigblower.wordpress.com/ and say a word or two of support, I’m sure he would appreciate it. I have been telling you for almost nine years about everything you and I are doing together to help me stay alive, and yet I still feel guilty that I’m alive. That’s a little self-defeating, isn’t it? There’s a name for it. It’s called survivor’s guilt. This is where having a great therapist comes in. Duane nailed it for me. “It sounds like you’re assuming that only a limited number of people get to live, so if you live, you’re taking someone else’s place.” Booya! That one hit me between the eyes. So this is what it means to have survivor’s guilt! Just getting this crazy logic clear in my head makes it easier to move on. Not immediately, but I'm getting there. Why does there have to be a limited number of survivors? Can’t everybody survive? That's the goal, isn't it? Things started looking brighter again. Let’s help everybody survive! Let’s help everybody thrive! Tell you what. I’ll keep telling you what I think is keeping me alive, and you keep helping. Together we’ll do the best job possible to help other people see how they might do it. And as many of you have told me, the same things work if you want to live a fuller life, even if you don’t have a life-threatening disease. For me, it all boils down to love and attitude. Your love, and your supportive and upbeat attitude. My love, and my upbeat attitude. There is a lot of action behind both of these words. But for me, love and attitude are at the heart of it.